Website redesign for local café in Ulverston Cumbria. We were approached by the café owner when their current web designer was no longer able to manage their website. The website needed a complete redesign to make it more modern and mobile friendly. 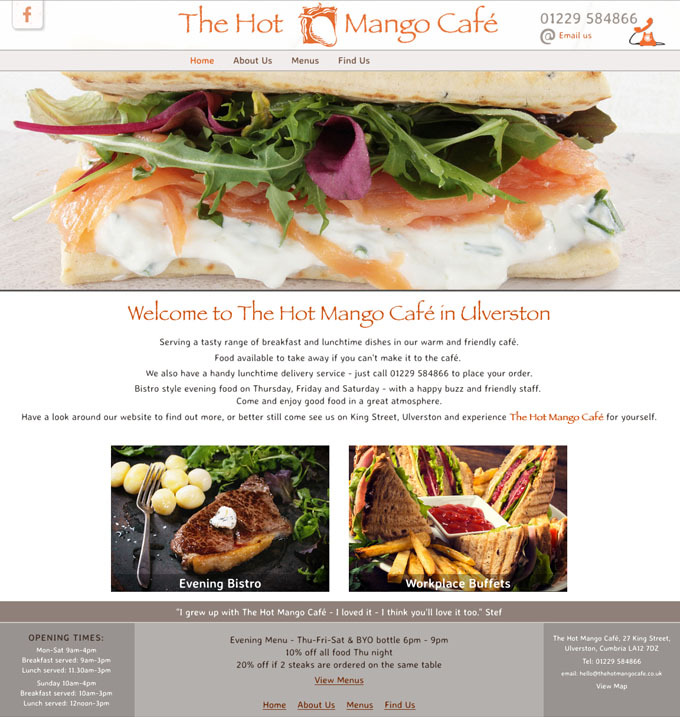 The client required a small website to advertise their café and upload the latest menus.